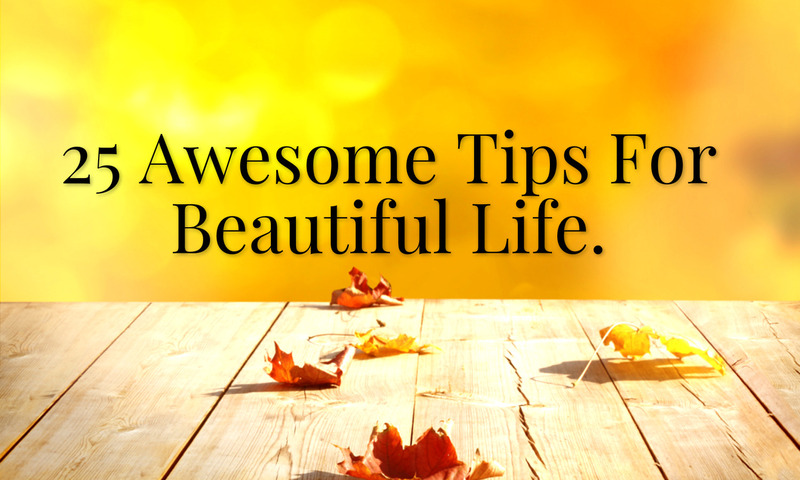 google-site-verification: google8d8438b214143f71.html Beautiful Quotes: 25 Awesome Tips For Beautiful Life. 25 Awesome Tips For Beautiful Life. 1. Take a 10-30 minute walk every day. & while you walk, SMILE. It is the ultimate antidepressant. 23. Each night before you go to bed ,Pray to God and Be thankful for what you’ll accomplish, today ! 25.Share this to everyone on your list to help them lead a happier life…!!! !